A child's First Holy Communion is one of the most important events in their life. Help them make the day extra special with a First Communion Wallet Set. Each wallet set comes with a beautiful, full-color mass book along with all the essentials to make sure your Communicant has everything they could possibly need on their First Communion Day. They are ideal keepsakes that can be used and treasured for years to come. 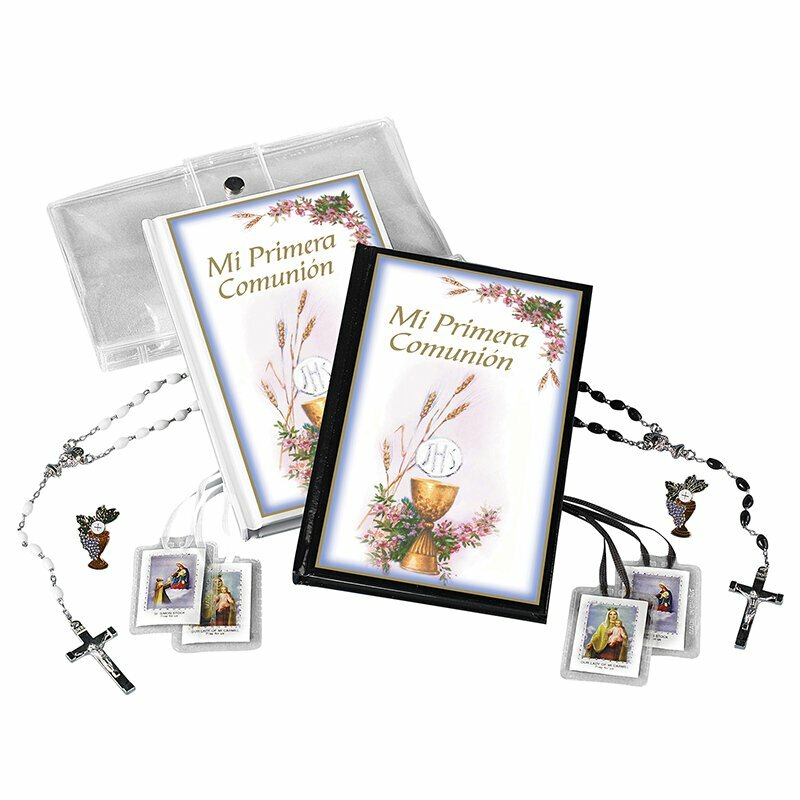 Communion Wallet Set includes Mass Book, Scapular, Rosary, Pin and Vinyl Wallet.